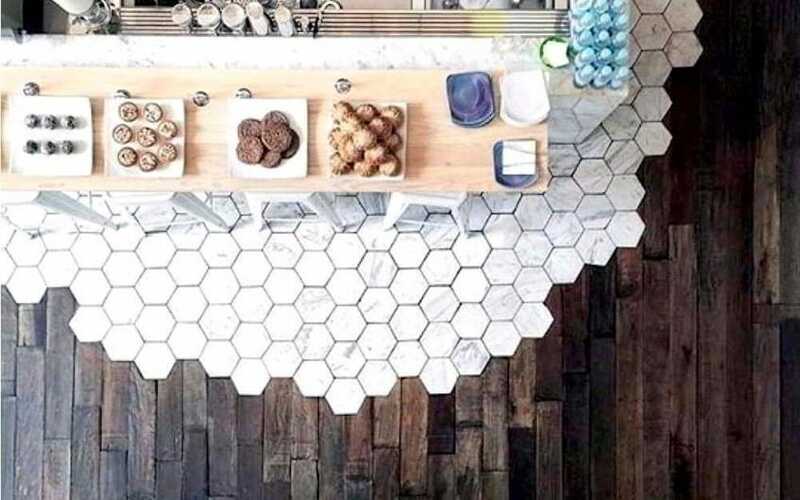 Design Blog - Page 2 of 2 - Design Alternatives Inc.
Today’s coolest floor trends are some most people would never think of. In design, you can use all different materials to make a space more interesting, and the floor is your biggest canvas. Flooring can be the most impactful element of a space if you choose to take a bold design risk. Although glueing money to the floor may not sound appealing to many, the beautiful, vintage look a penny covered floor brings to a space is unique and is very durable. Perfect for bathrooms and kitchens, the penny floor not only adds a pop of color, but will make your floor the center of conversation. Trust us, it’s not as dangerous as it sounds. 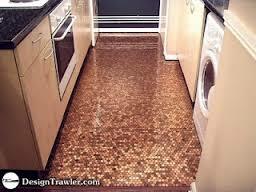 Similar to how the penny floor is laid, mirrored floors are are completely safe after sealing with polyurethane. This modern look is popping up in large closets and contemporary stores across the country. Although heavily a trend, this floor will spark curiosity for years to come. Concrete flooring is most common in industrial design themes, but it’s making its way into residential designs this season. The clean, modern look can be found from counter tops to floors, in multiple colors and finishes. Depending on how you choose to stain your concrete, it can either give a space a more industrial, unfinished looked or a very rich, vintage feel. Although it may not be the best surface to walk on for hours at a time, a few area rugs added to soften the space will do the trick. 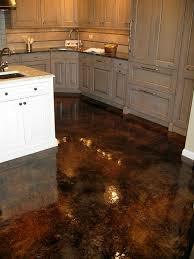 In addition to being very cost effective, concrete floor is easy to maintain. Consider mixing different flooring in the same space. Many designers are going for a single flooring look throughout a space to make the area look larger and more fluid, but done correctly, multiple floorings can be the center of a space. Try blending tile into wood in a kitchen area. The design can be unique to the clients’ taste and can actually make some of the spaces appear larger. When designing for Senior living or Aging in Place, the details mean everything. Things we may not think of in our earlier years can make the difference in whether a senior is living comfortably and safely in their own home or in a Senior Community. In order to assure that the design is focused on safety, comfort and convenience, remember to review the check list below! These simple design elements can be life changing for our senior community. Giving them the tools to live an independent life, safely and securely, is our number one priority! * For more tip on Senior Living and Aging in Place Design, check out Design Alternatives Inc. Other blog posts! Diana Robinson graduated from the Cleveland Institute of Art with a Bachelor of Fine Arts in painting and printmaking. Upon graduating, Diana Robinson worked for Imperial Wallcoverings beginning her career in surface design. 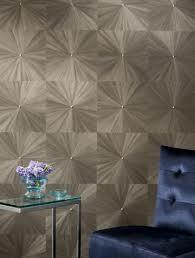 Diana founded her own company, DLM Studio, in 1984 which offered residential wallcovering designs. She is also a founding partner of 4Walls, one of the first companies to digitally produce custom wallcoverings with a combination of both creative and technical expertise. 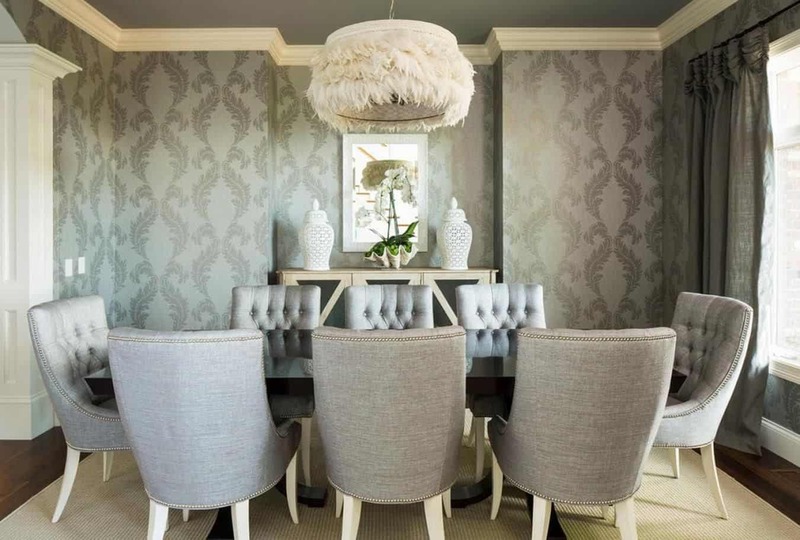 With much experience Diana soon became a leader in the industry of digital wallcoverings and has consulted with many clients, and has won many awards in the industry including a Roscoe Award. Level Digital Wallcoverings offer options that meet the demands of those environmentally conscious without sacrificing the highest standards of artistry, quality, and durability. Level offers green solutions in both print technology and offers printable substrates. They are able to produce wallcoverings that can help obtain LEED credits and meet AgBB criteria. Level offers a library of unique designs. From simple yet sophisticated graphics to rich textural masterpieces, the designs can be customized to better the wants of customers. The Level team members are experts in the use of digital print technology for the commercial wallcoverings market. With over 10 years of experience, the team has a deep knowledge and mastery of the intricacies of this technology. Remember when wallpaper & paneling were the worst things you could have on your walls? The old trends died out back in the early 2000’s, but they are back with a vengeance. Not only is wall paper resurfacing, but walls are now being covered by materials no one would ever have thought of using in designs. Adding textured elements to walls is making a huge impact in both residential and commercial design. Wallpaper is no longer something to be afraid of. A textured paper brings added depth to the design, especially when there is limited space. For bolder patterns, keep the wallpaper to only one wall. This will help create a focal point while making sure the pattern or texture is not overbearing or too busy for the space. 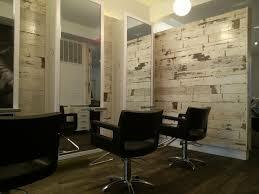 Gone are the days where people dreaded having wood on their walls. Although Wainscoting has been popular for the past decade in design, feature walls covered in wood have only recently been desirable. Bringing the outside in, shiplap gives a natural, historic, yet modern feature to a space. The coloring and age of the shiplap will set the mood for an entire design. This fun element is being used in homes & restaurants all over the country. 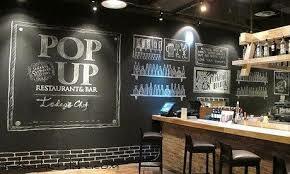 Having a chalkboard painted wall is a great way to add character to a space for a playful yet sophisticated look. For restaurants, this option is used to save space while advertising for the customers. If you’re looking to create a unique space, implementing wall tiles into your design is an excellent option. The texture and finish of the tile can range from vintage to super sleek and modern. While starting to get more common in homes, this is a go to look for lobbies in both apartment buildings and commercial buildings. 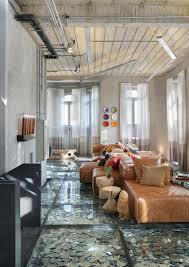 The tile adds warmth to the space which makes it more clean and inviting to the residents and workers. 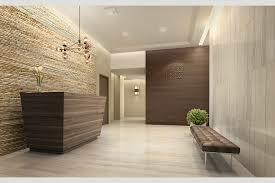 Similar to wall tiles, wood veneer gives a sleeker look to a space with added elements of depth in each piece. Not all wood veneer looks like wood, either. Using patterns such as Sunburst will take a plain wall and evolve it into a piece of artwork. 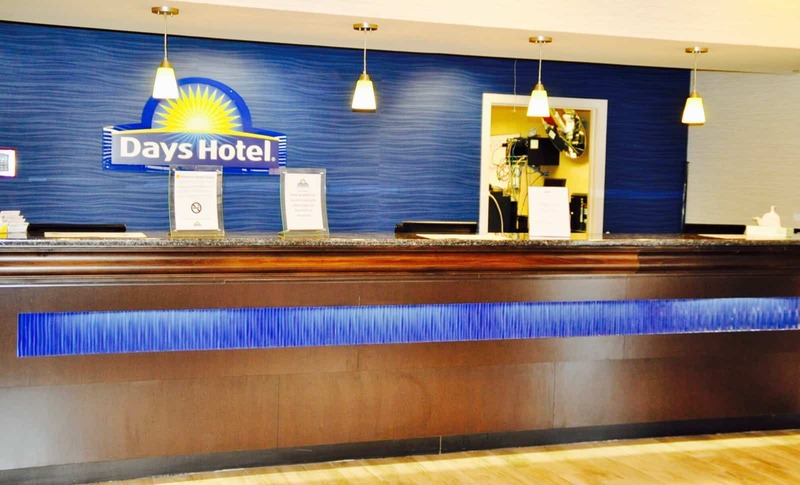 Days Hotel, Refreshed & Ready for Summer! 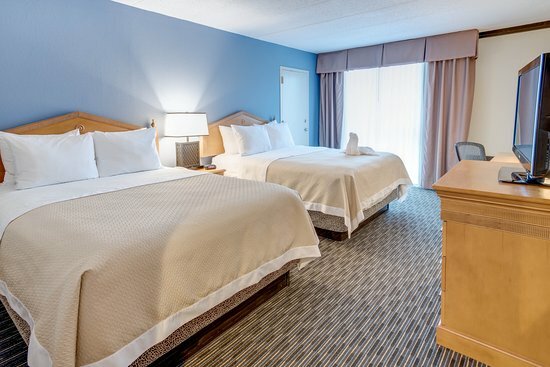 In the fall of 2016, Owner of Design Alternatives Inc., Carrie Fusella, took on the task of bringing the Days Hotel in Toms River, New Jersey into the 21st Century. 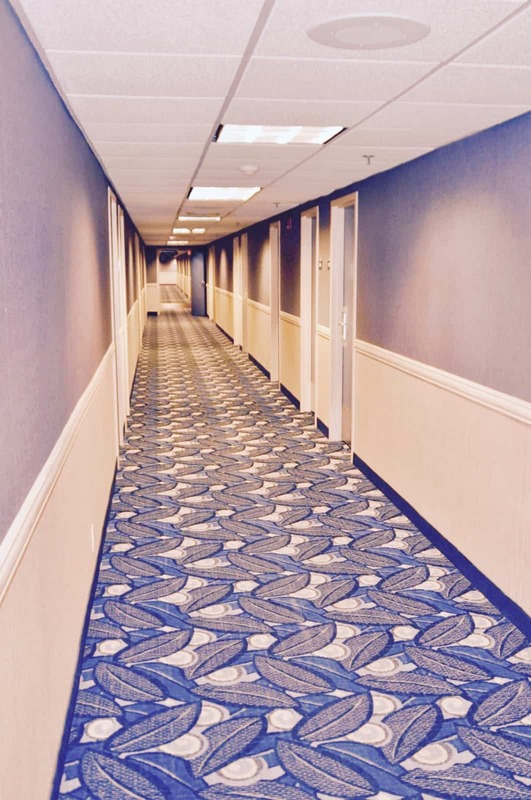 The hotel located only 3 miles from the beaches of the Jersey Shore was ready for the 173 room establishment to be redesigned in order to provide the most comfortable experience for their guests. The Project, headed by Project Manager and Designer Chris Presti, began to take form in April, 2016. Construction for the renovation then began in May 2016 with a new style on the horizon throughout the hotel. Each area of the renovation was carefully designed to meet the owner’s desire of a Casual Contemporary Tropic theme blending a timeless look with the fiery spirit of the Jersey Shore. The renovations started in the guest rooms, bringing each room back to a blank slate to build a new look with a variation of fun design elements. Starting from the bottom up, each room maintains that Casual Contemporary Tropic theme. From the custom color carpet of Shaw’s Private Line to the freshly painted walls colored with a vibrant shade of Blueberry Muffin by PPG Paint, Presti brought the rooms a clean & welcoming feel that is sure to keep guest coming back for years. The team took on a multitude of other areas throughout the hotel such as the pool area, adding some updated details like wall tile and fresh paint color in the pool area bathroom. The Days Hotel lobby also gained a cool look with shades of blue and green in the sitting area and beautiful DalTile added throughout the quarter. In addition, the pre function corridor picks up the revitalized design with new light fixtures by Dale Tiffany. Design Alternative’s work throughout the hotel has received rave reviews, but what may just be the show stealer are the updates that were made to the hotel’s Veranda Room. Illuminated by stunning custom chandeliers by Elegant Lighting, the Veranda room is beaming with elegance from the ceiling to the floors, which are adorn with beautiful carpeting by Shaw Hospitality. From originally opening as a Holiday Inn in 1978, the change to the TR Hotel, and then to the final transformation as the beautiful Days Hotels that is today, this establishment is continuing to grow and evolve. With talks of renovating the ever popular Atlantis Ball Room in 2018, the Days Hotel is on it’s way to being the most desirable hotel in Ocean County, New Jersey. Read what they’re saying about us!